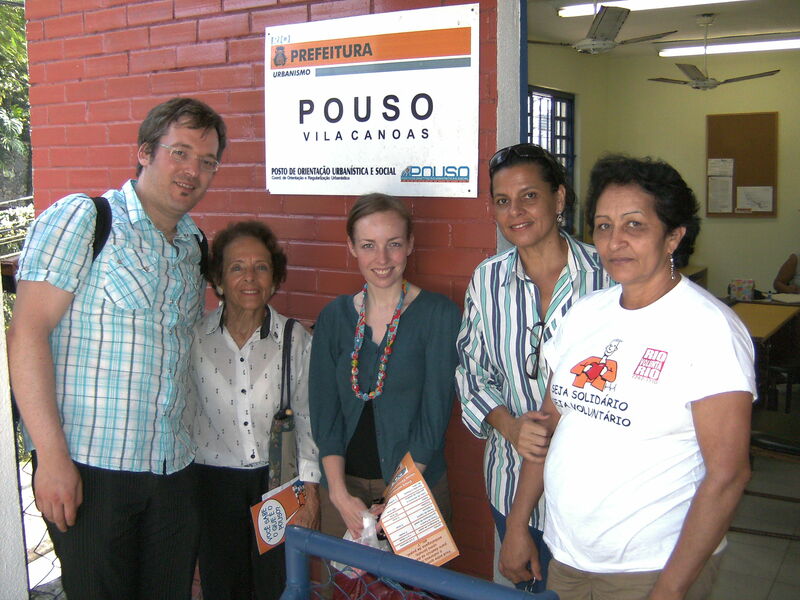 On Tuesday Katie and Georg visited the slum área Vila Canoas. They saw a number of different projects in the commuity, including a kindergarden and education centre, where local children can spend their free time. The children find there different leisure activities (computer classes, library etc.) as well as getting a free meal. In the same building the Association of local mothers have courses for arts and crafts, which offers extra income possibilities for the community.The school was founded by italian Mauro Villone. Other sites visited included the local goverment-run office for urbanisation, the health station (similar to the NHS) where we learnt bits and pieces about the Dengue virus, a church run health point for eye and dental surgery and a youth centre. 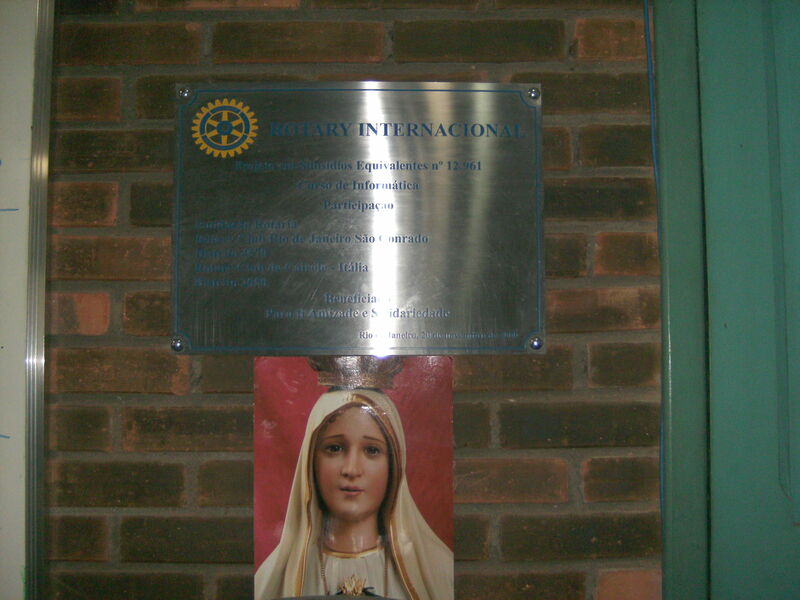 A lot of these social projects are co-financed by different Rotary clubs world wide. After lunch the two had the possibility to visit the “Centro de Cidadania Rinaldo de Lamare” which is a goverment run social centre based in an old Hotel complex. The centre offers local residents vocational courses, a creche for more than 600 children, sport classes etc. As this kind of service is very important for the residents, (just think of a mother who needs someone to look after her child, while she is working or job searching) the centre has a high level of acceptance and has adapted to local needs. 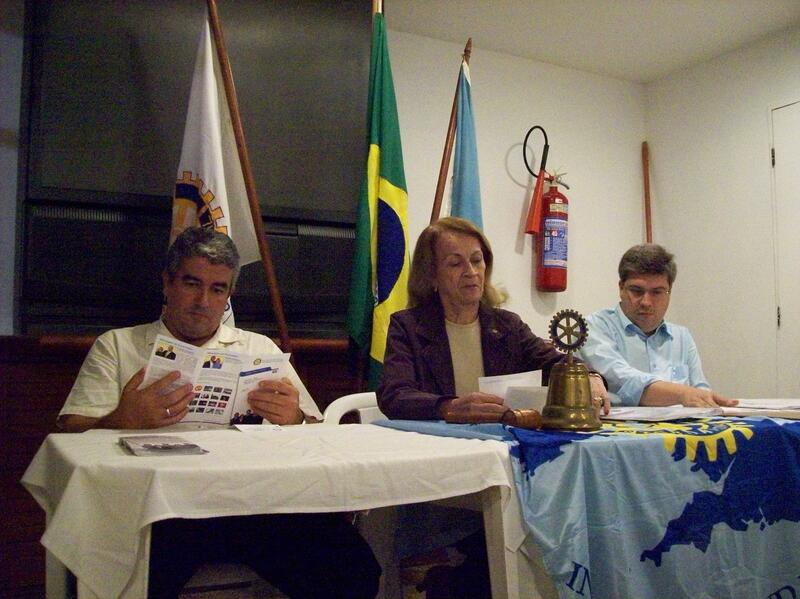 The presentation at night was held at the Rotary Club at Leme – a small group with a very participative audience. The group meet in a room above a tennis club .